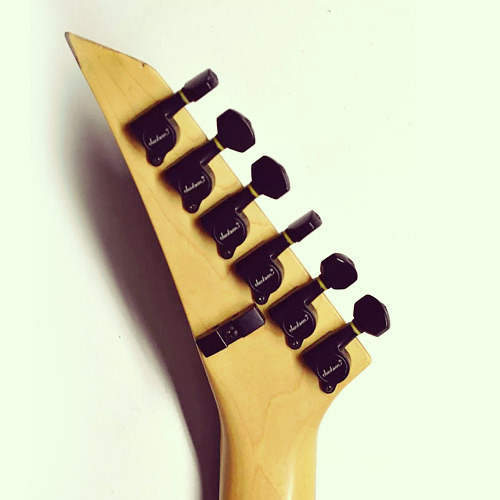 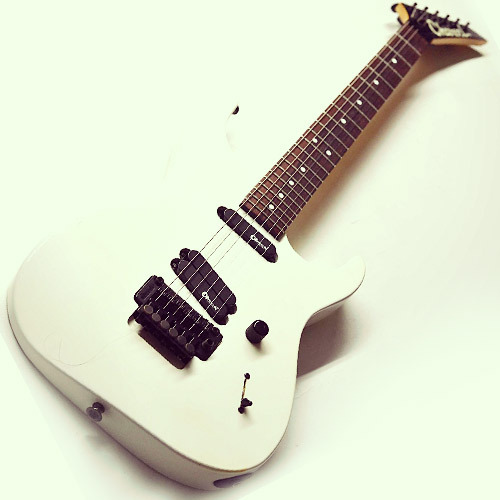 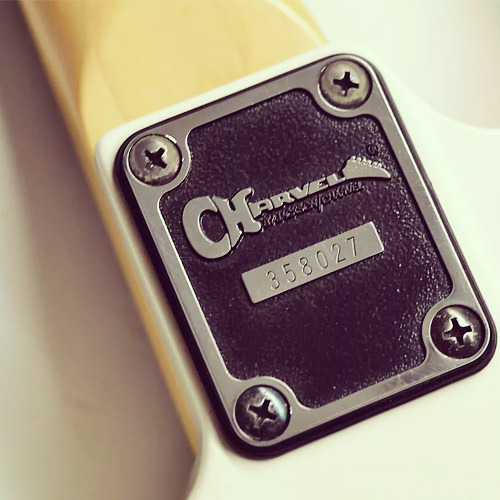 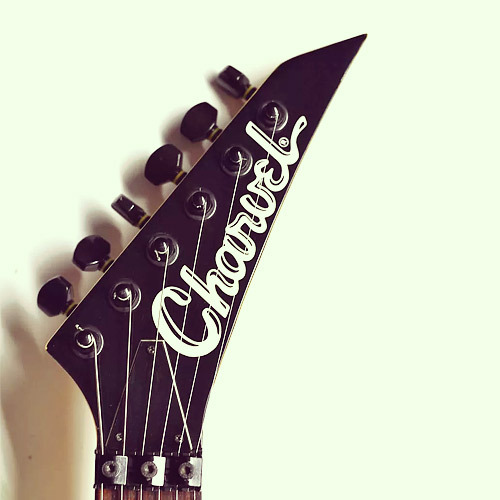 The Charvel 275 Deluxe (1990) is part of the Charvel Classic Series. 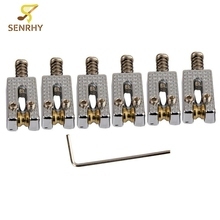 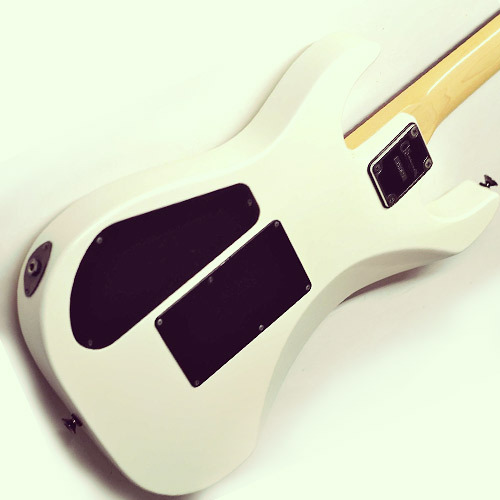 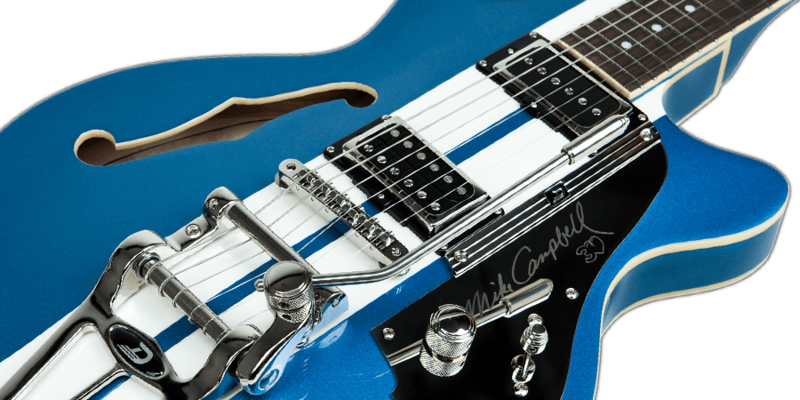 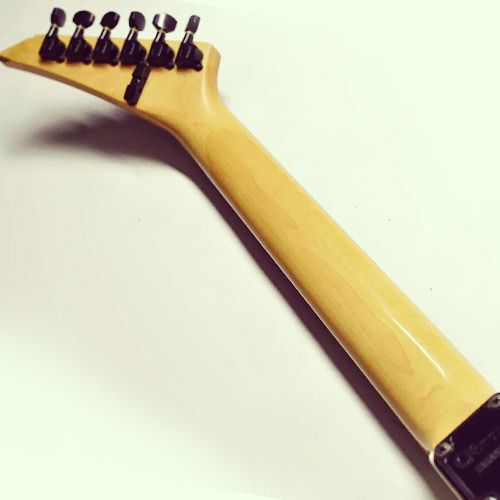 It has an H-HH pickup configuration with a single-coil sized humbucker in the neck position and two slanted single-coil sized humbuckers side by side in the bridge position. 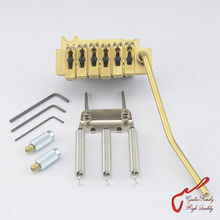 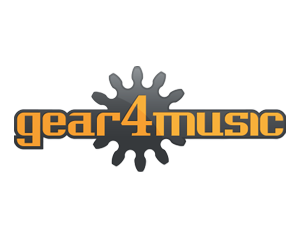 The bridge is a Jackson JT-570 single-locking tremolo. 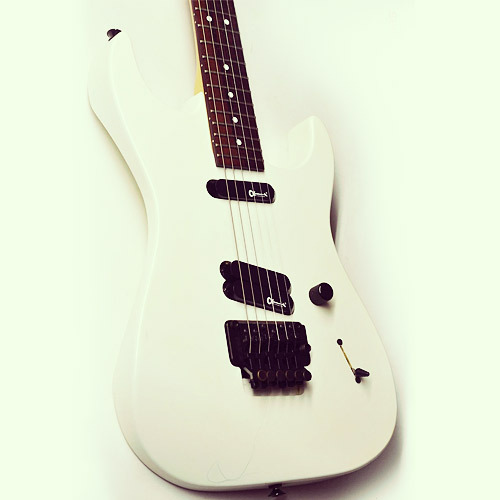 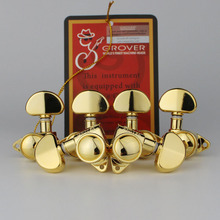 There is a 1989 version of this guitar with a different pickup configuration. 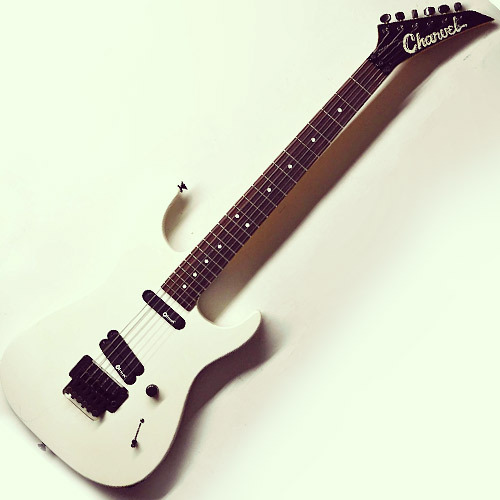 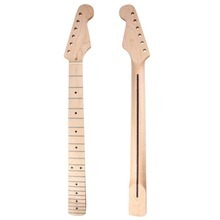 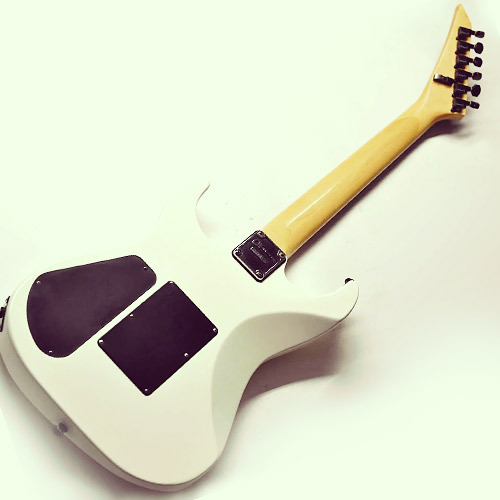 The 1990 version was redesigned to have Charvel's own "Dinky"body. 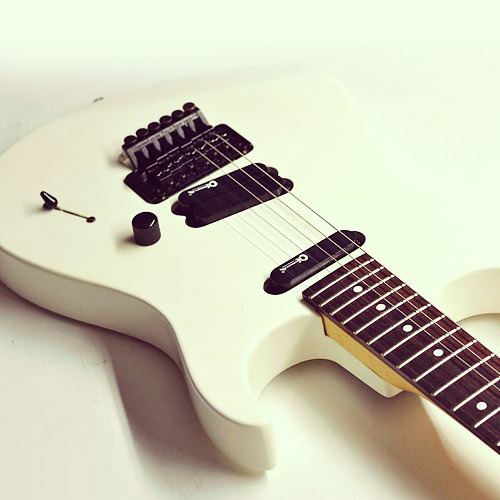 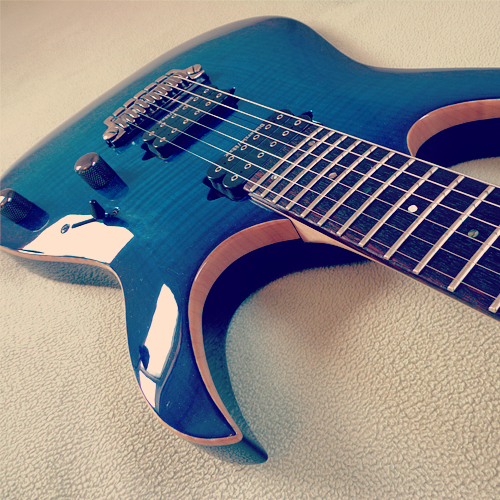 This version of the Charvel 275 Deluxe resembles the Charvel Fusion Special which has a shorter scale and 24 frets.